Should I eat before I go? Inevitably that is the question I ask myself before heading out to the Hollywood Farmers Market. It is a mental toss up between knowing that my tummy will be grumbling as I pass by all the glorious food stalls and wanting to wait so that I have an excuse to tuck right into something I bought once I get home. Today, I opted for the empty tummy plan. 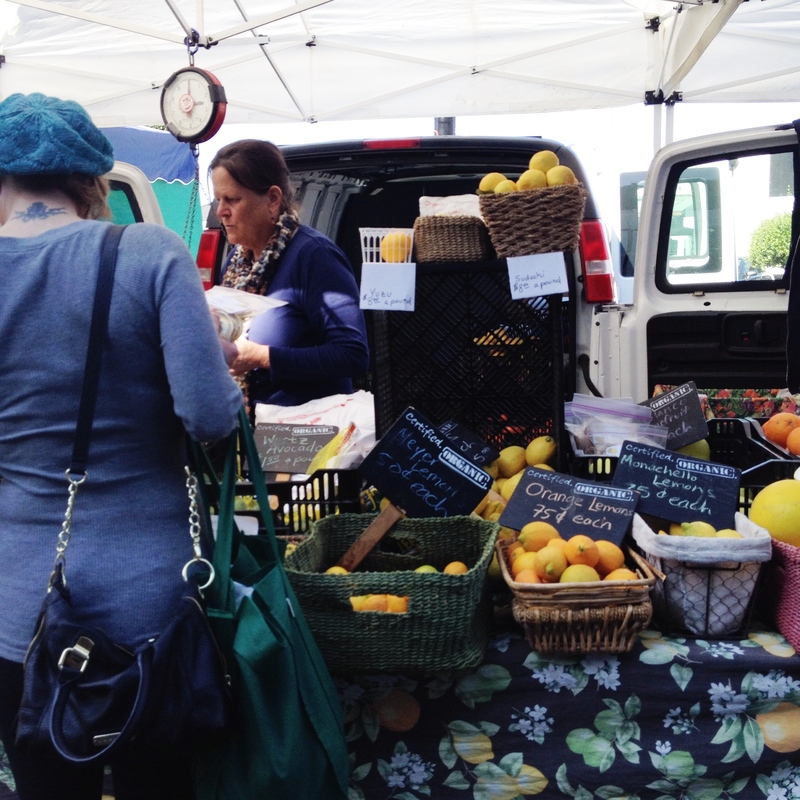 What foodie doesn’t enjoy a good farmers market? Especially in an area like Southern California where the weather allows for such lovely local produce all year round. 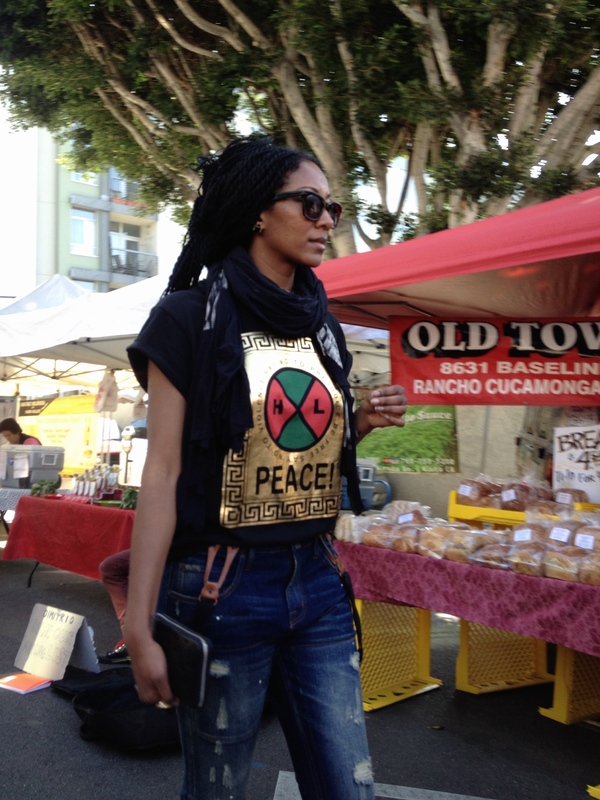 Since moving to Los Angeles, I’ve tried out a few local farmers markets. 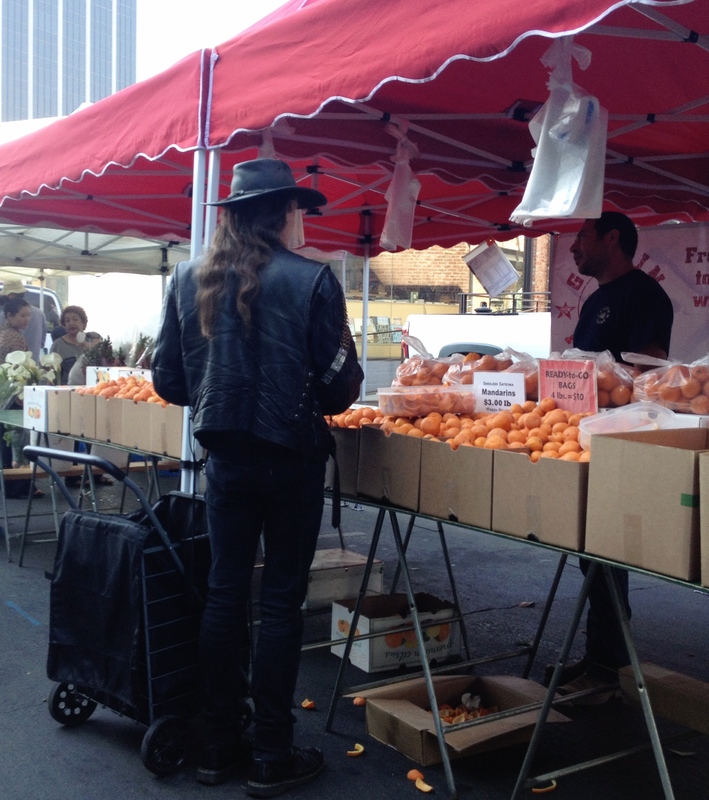 None have clicked with me as well as the Hollywood Farmers Market. Initially a bit of a surprise because I assumed that one smack dab in the middle of Hollywood with the sign visible in the distance, would be the snobby one with ridiculously hiked prices. Pleasantly,that isn’t the case. The fruit and vegetables are all fairly priced. In many cases, on par with local supermarket prices but for a superior product. Some of the more artisan products such as cheeses and oils from mom and pop sort of start ups might feel pricier than your normal shop. There too, it will often be better than whatever brand you would buy in the supermarket. Normally, my plan of attack is get the fruit and veg that I need for the week and then pick out one of the artisan products to try as a treat. 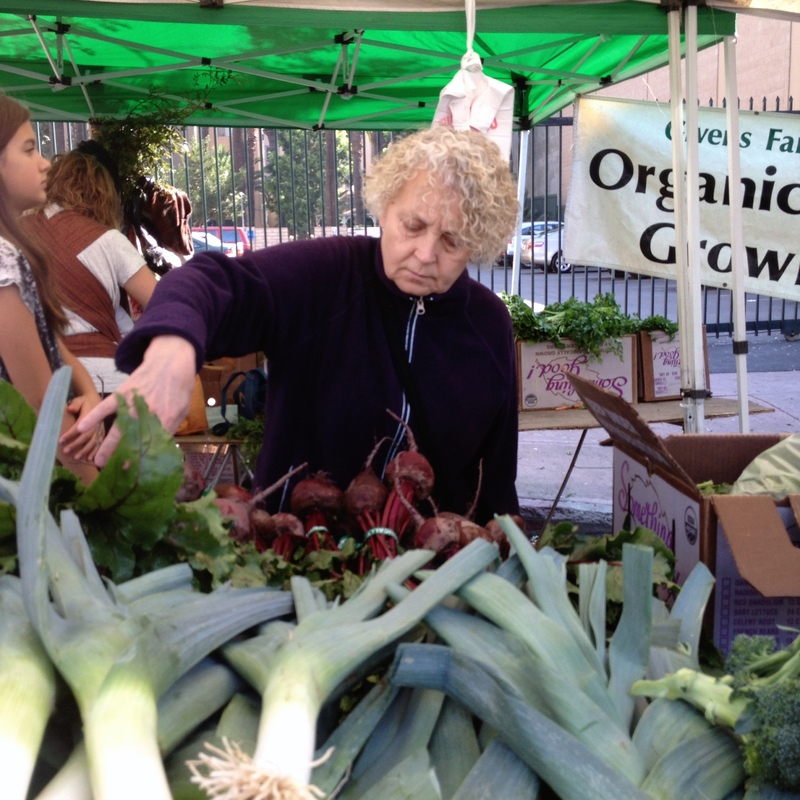 The Hollywood Farmers Market takes place each Sunday from 8am to 1pm. Even if the apocalypse,otherwise known in LA as rain, should occur. It is on the corner of Hollywood Boulevard and Ivar Street. There is reasonably priced parking available at the nearby Cinerama Dome parking lot. Just go to the markets information booth for validation. For me though, part of the charm of the Hollywood Farmers Market is how easy it is for me to get there from Koreatown by public transport. I just hop on the underground Metro at the Wilshire/Western station, get off two stops later at Wilshire/Vermont and jump onto the red line headed towards North Hollywood. That takes me all the way to Hollywood/Vine, which is the nearest station to the market which is just a few minutes away by foot. If the trains match up, the whole thing takes me about 15 minutes. I find the produce selection at the local supermarket chains rather limited. The same apples and the same oranges each week and only the sort of vegetables, such as carrots and potatoes, that they know will be sold in large numbers. At the farmers market, you will find whatever is in season. Look at the size of the leeks this lady is pondering. I have barely seen leeks in a supermarket since leaving the UK and when I do they are small and uninspiring. Note to self: Those and some of the wide variety of potatoes found at the market would work well together to make a lovely leek and potato soup. 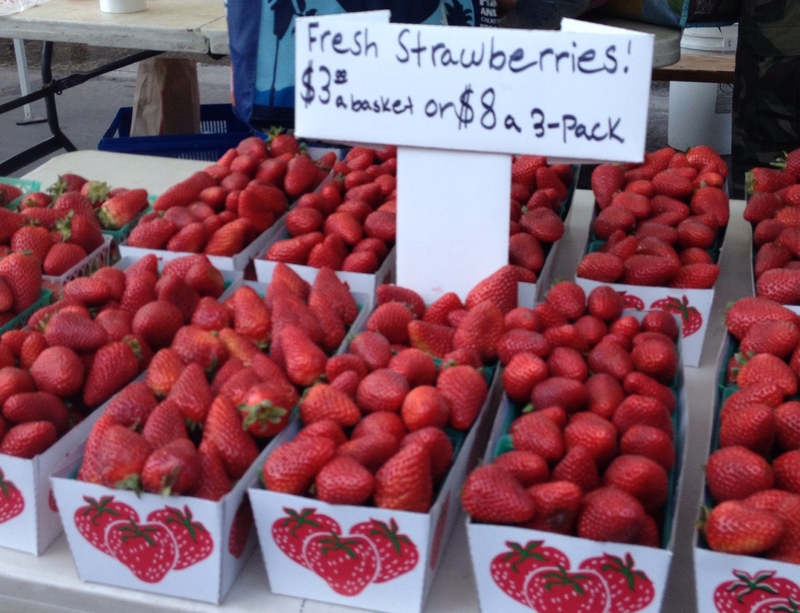 Soft fruit such as these strawberries always look so much better at the farmers market too. You can practically taste them with your eyes. As somebody who,more often that not, is cooking for one, I also like that I can buy as much or as little as I like of an item. 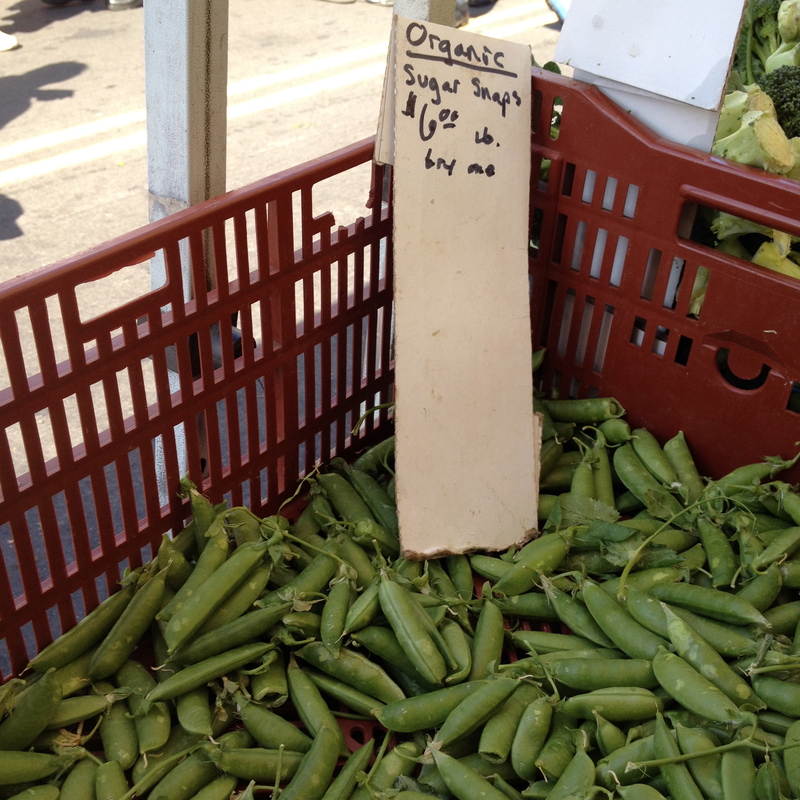 These sugar snaps, as an example, looked so good. I can snack on fresh sugar snaps like candy but I just needed enough for me. 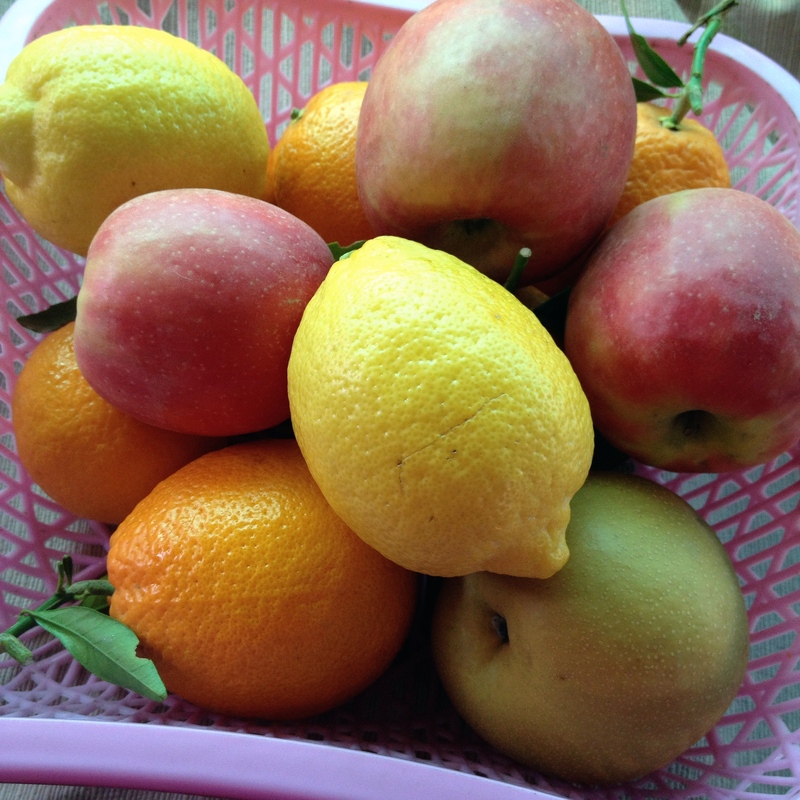 I grabbed a few handfuls and ended up paying two dollars for a farm fresh and organic product. Did you notice the ‘try me’ written on the sugar snaps sign? That is another reason I enjoy the farmers market. You can taste practically anything before you decide to buy. Not only does this allow you to go between stalls and see who has the best tasting strawberries (or whatever) that week. It has also encouraged me to stab one of the provided toothpicks into a sample of a fruit I have never tried before. I didn’t know what a persimmon tasted like until I tried one at the market. Without having that opportunity, I may have remained a bit unsure and never given it a chance. Certainly, it helped fruit stall owners get a sale out of me today. After a taste test, I ended up picking up this bounty which includes several super juicy blood oranges, an Asian pear, some mandarins, Meyer lemons and some perfectly crisp pink lady apples. 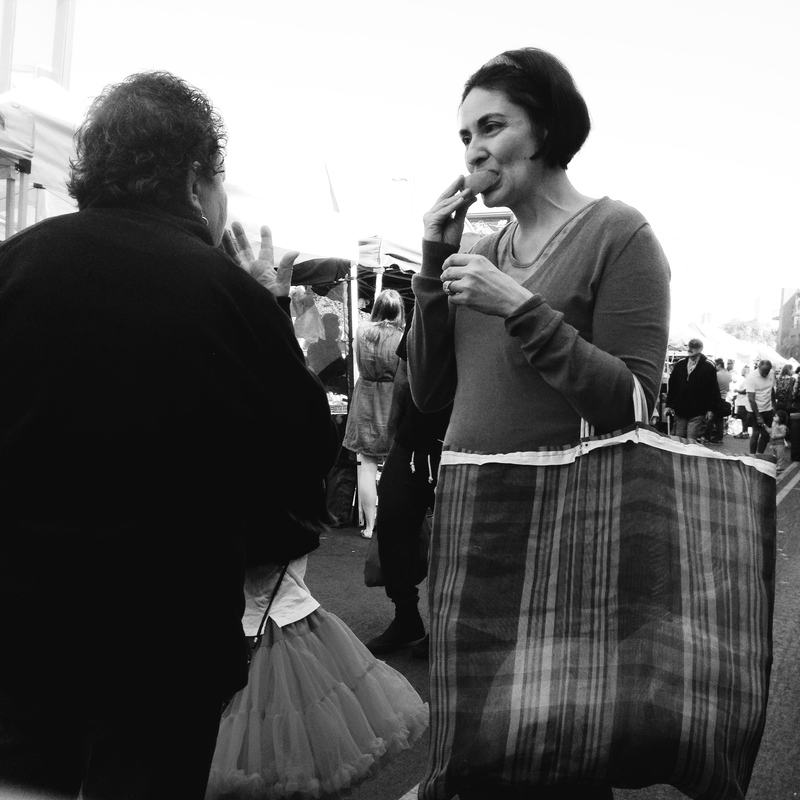 Whereever you go in the market, you will find ladies,such as these, tucking in to bit of citrus. 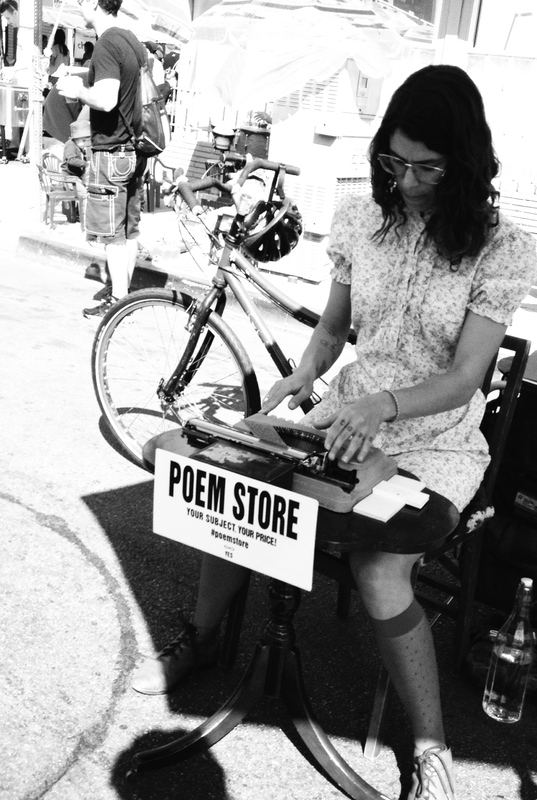 The people of the Hollywood Farmers Market is another one its charms. As you can likely tell from my street photography efforts, I am a people watcher and there are few better places to people watch in Los Angeles than at this farmers market. You get all sorts of people from the expected hippie types to the the long-haired rock veterans and the hip good looking LA types. 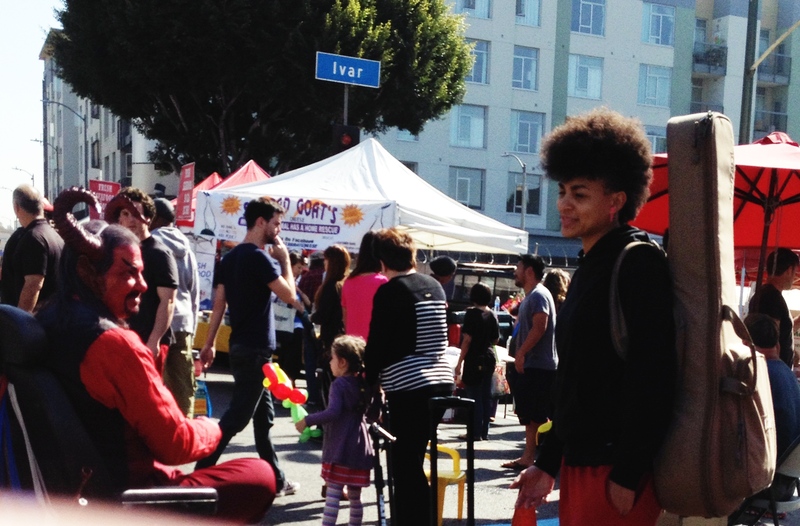 The market is good for the occasional celebrity spotting too or so they tell me. So far, the only celeb that I have noticed on my trips has been America Ferrera. 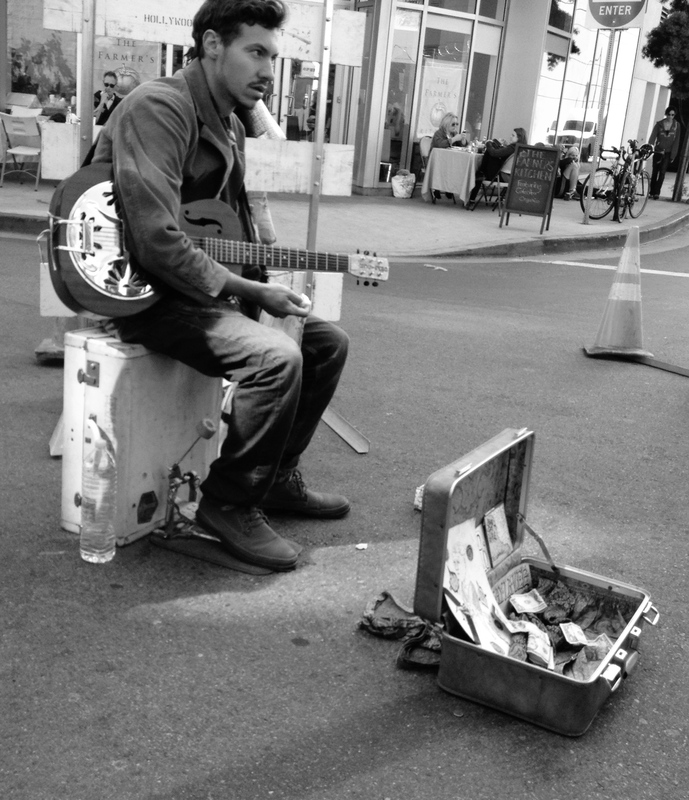 It is Hollywood though and so there is no shortage of creative people making themselves known at the market. Musicians are at every turn from a rather nice looking and rather talented male harpist (must remember to find out his name!) 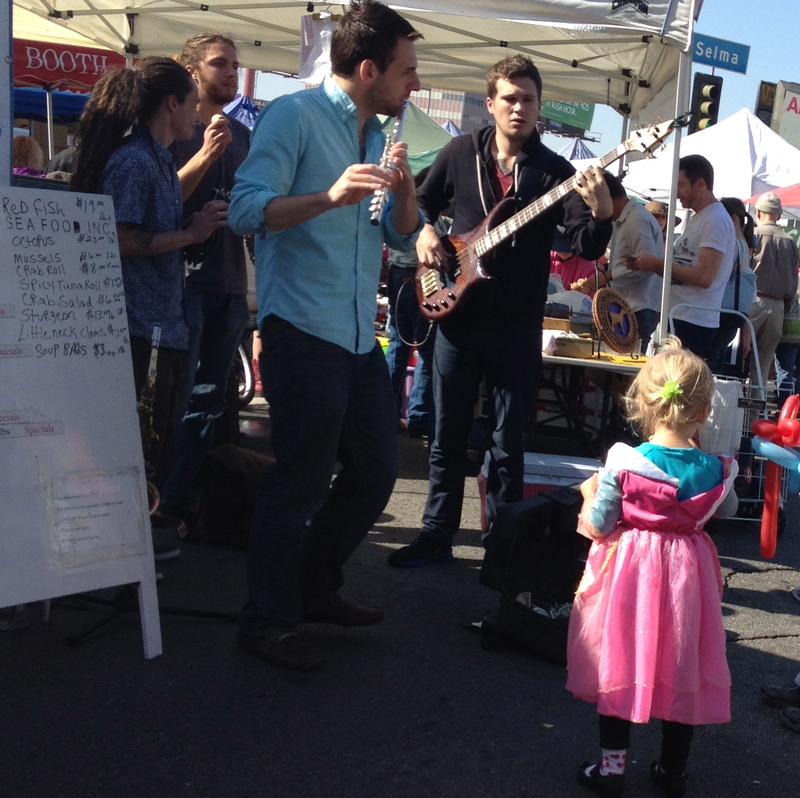 to ragtime bands and much in between. Then there are the folks that show their creativity by being the characters of the market. Which is great. 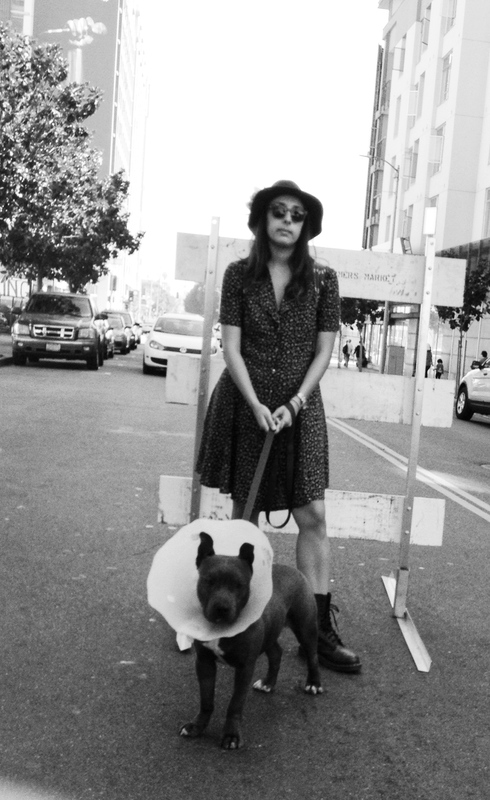 Whether it has been London, San Francisco or Los Angeles, I have loved that every city in which I have lived, no matter the size, has their local characters that everybody recognizes. 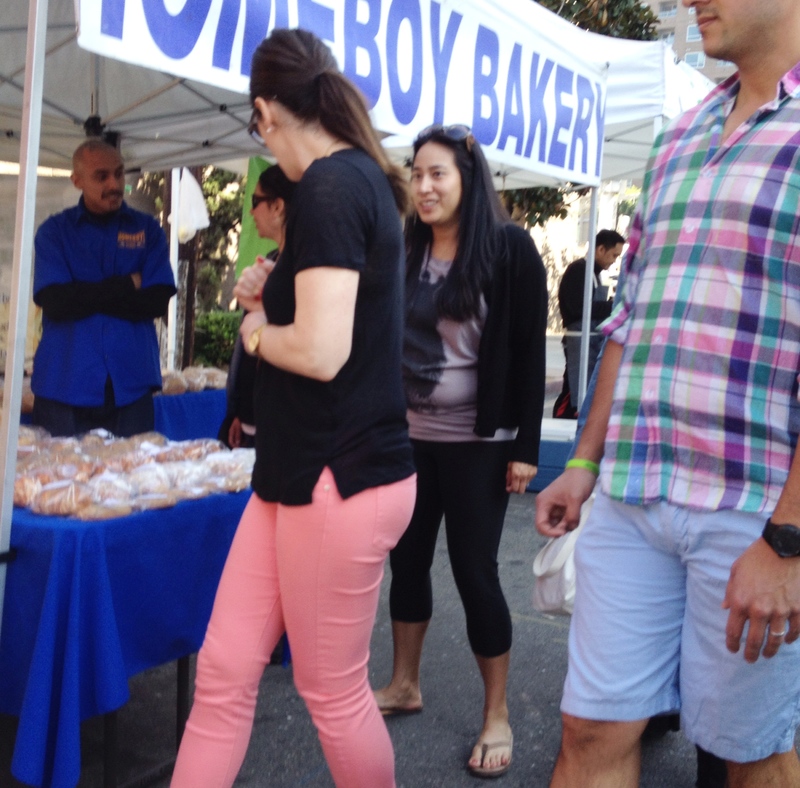 Before I left the market for this week, I had to make a stop at the Homeboy Bakery stall. It is always the first stall that I see when I walk into the market but I force myself to wait until the end. Mmostly so that I don’t end up squishing the bread I buy under the weight of the fruit and veg. You have seen me mention my appreciation for Homeboy Industries before when I used their tortilla strips to make my Drunken Sloppy Joe Nachos for the Super Bowl. As yummy as those are, there is something wonderful about about seeing the program in action at the farmers markets they attend. Plus, the bread is really good. So are the cookies they sell. 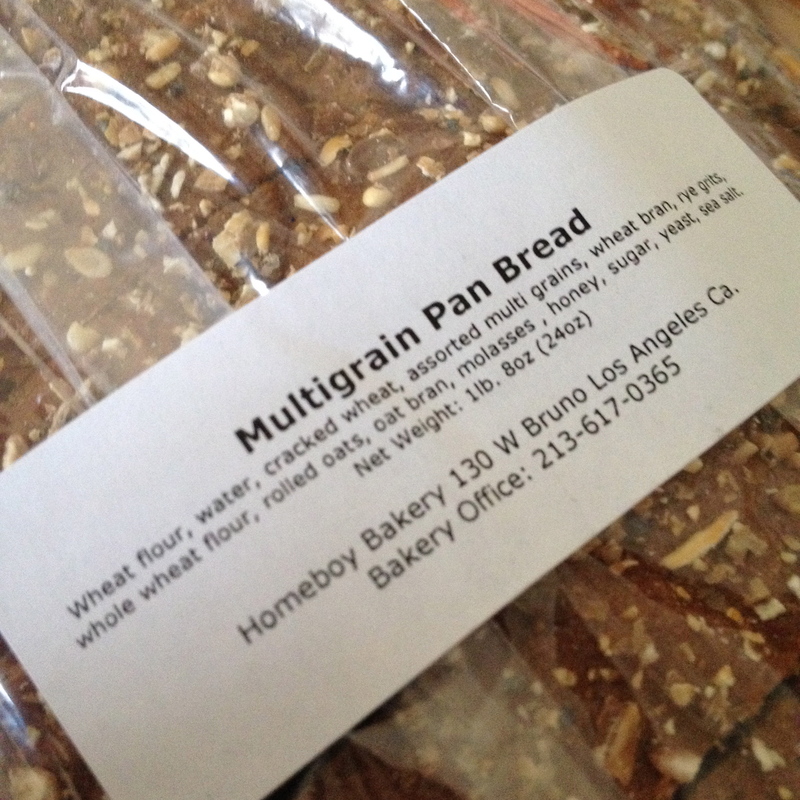 This week, I walked away with a loaf of the Homeboy Bakery’s Multigrain Pan Bread. The first thing I always notice when I buy this variety is the weight of the loaf. None of this so light that you wonder what is in it type of bread. 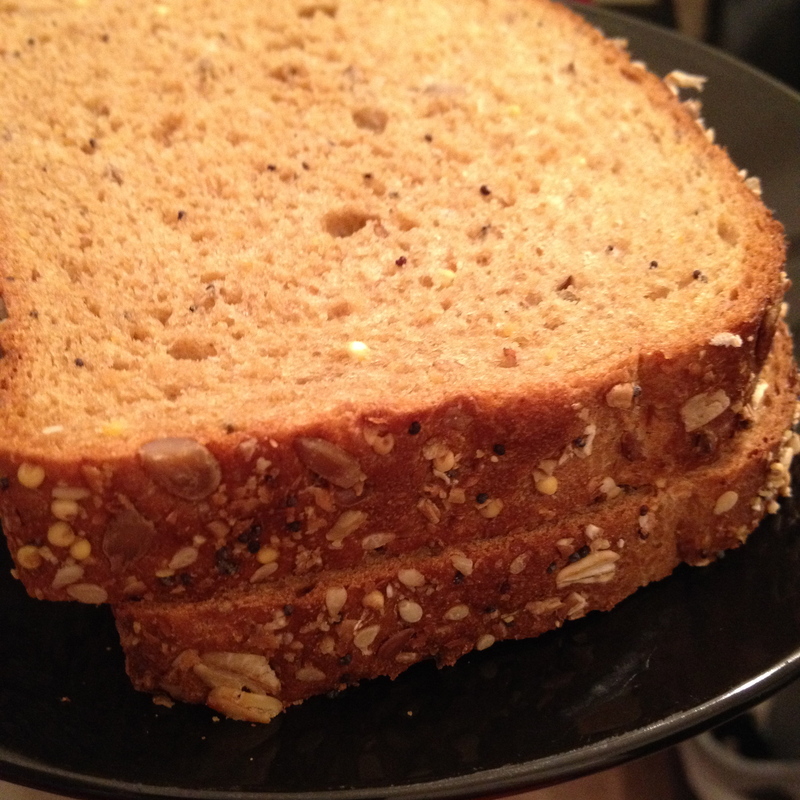 This is a dense loaf that feels like it really is packed with all those grains and oats that are promised on the label. Since I had left for the market on an empty tummy, thinga were getting to critical hunger status by the time I made it back to my apartment. 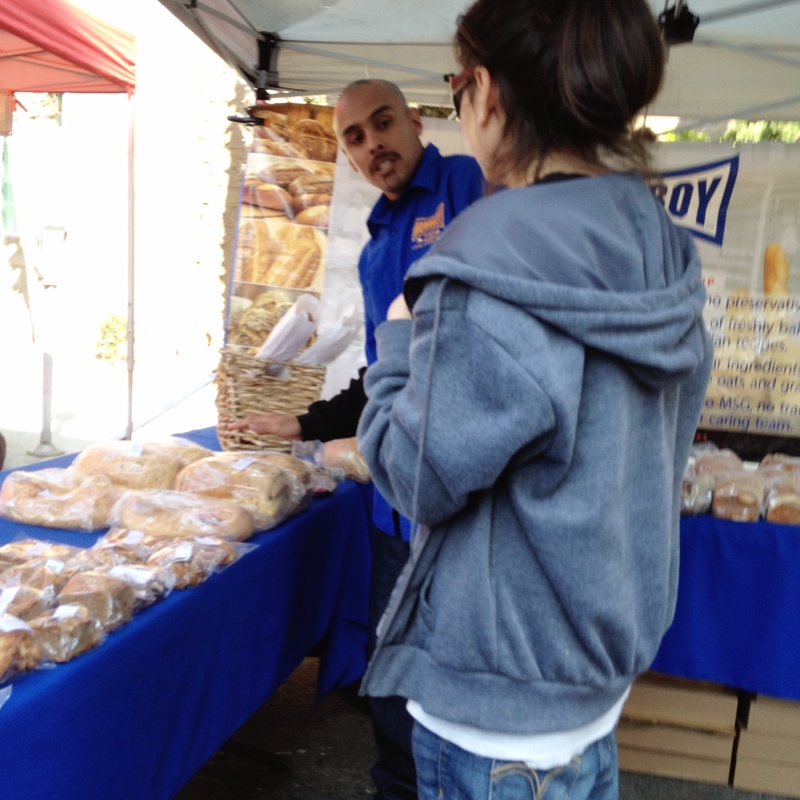 The Homeboy Bakery bread came to the rescue. Which was a good thing because just the rich color of the bread slices had my tummy threatening to stage a coup. 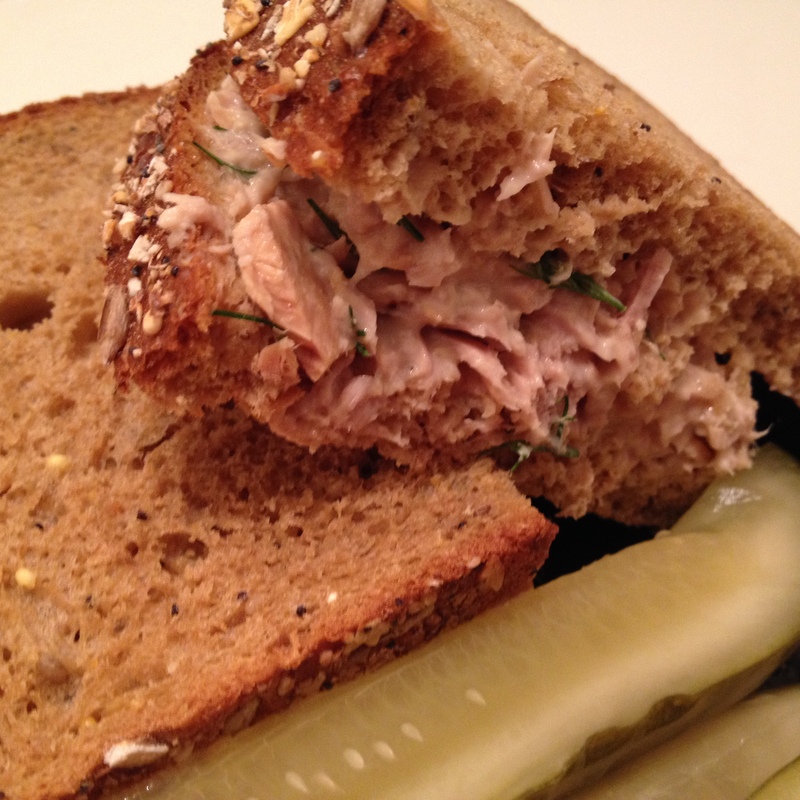 So, excuse me while I go enjoy my tuna salad made with fresh dill and lemon that I picked up at the market. Of course, on top of this great bread. This entry was posted in Eating Out In Los Angeles, Foodie, Street Photography and tagged Hollywood, Product Reviews. Bookmark the permalink.